METALgrommets.com - A division of ARMIN Innovative Products, Inc. Available. 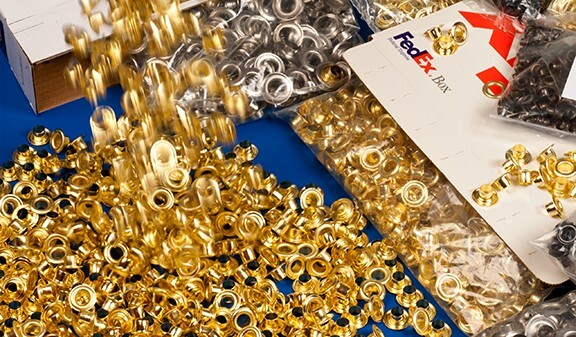 Over 2 million solid brass ClipsShop brand self-piercing metal grommets & washers in stock for immediate delivery. Ships from centrally located Chicago warehouse, in most cases same day. State of the Art. Ongoing investments in process improvement and never ending R&D efforts produce market-leading product development. The CSDAM-03 and CS-TIDY-41 are proof positive of ClipsShop’s commitment to innovation. Quality. Products you can trust! Use of high-quality raw materials. Globally recognized for superior quality. Strong, warranty against manufacturing defects. Versatile. 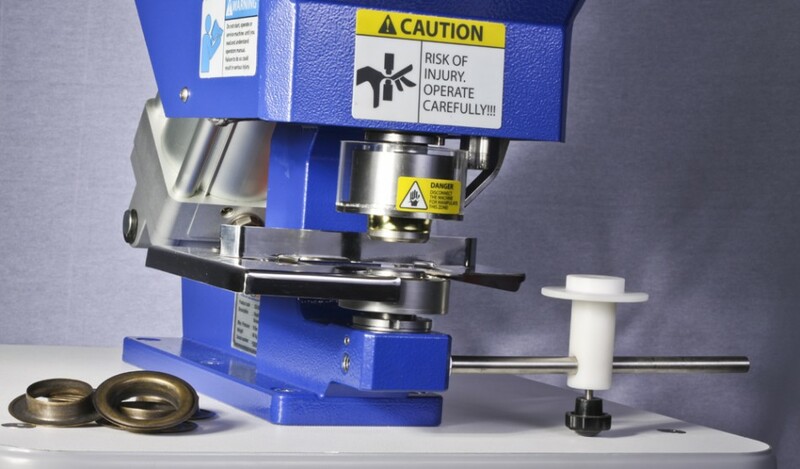 Featuring a simple, OSHA-compliant safety guard and a manual triggering mechanism, it weighs only 15 lbs., uses no electricity, and has a convenient slug collection drawer compatible with special CS-TIDY-41 self-cleaning grommet setting dies. Durable. Designed with innovation. Engineered for quality & performance. Recognized world-wide for reliability. Manufacturers, fabricators, assembly shops, commercial printers and finishers trust ClipsShop industrial grommet machines in a wide range of industries and applications. Industrial. Rust proof solid brass 1/2" and 5/8" hole size (#4 & #5) self-piercing grommets & washers with gripping teeth provide strong holding power in a wide range of demanding commercial & industrial applications. 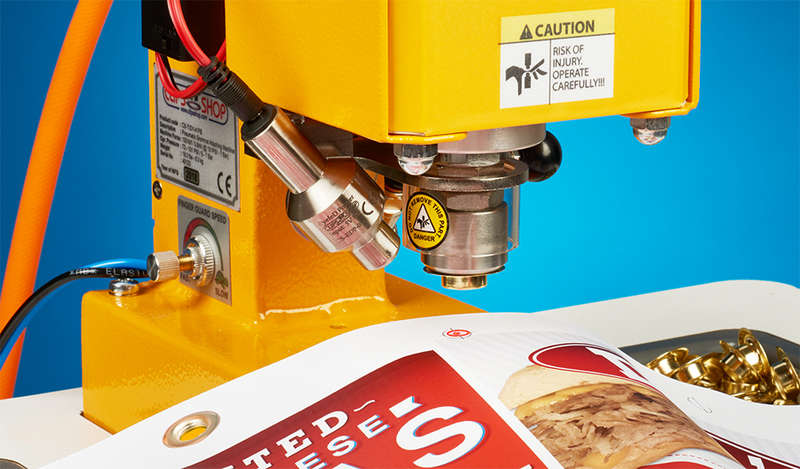 Choose from 8 styles of ClipsShop® brand grommet-attaching machines including heavy-duty pneumatic presses, versatile hand bench presses and ultra-portable hand-held pliers. 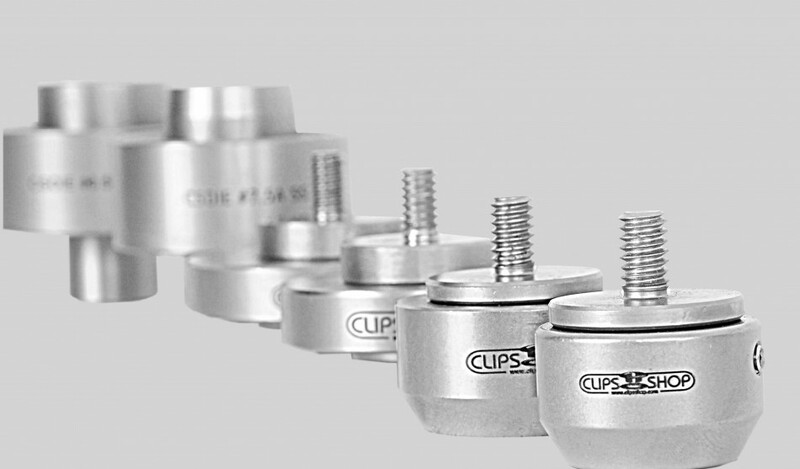 ClipsShop® Grommet attaching machines are easy-to-use and designed to provide years of trouble-free operation. 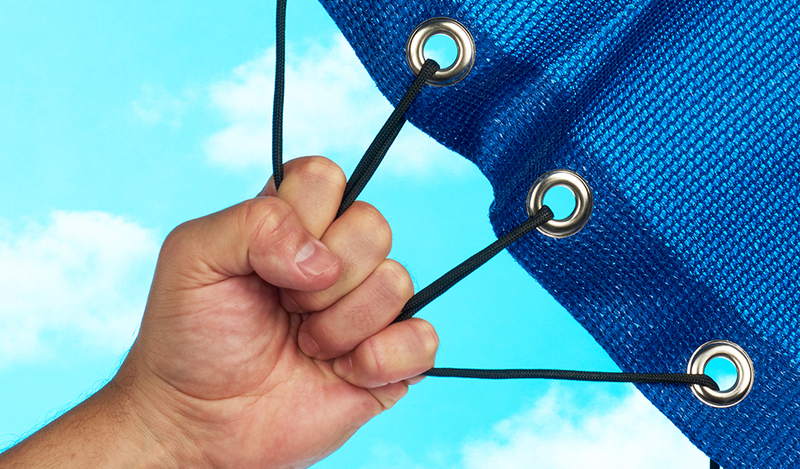 New project, new size grommets? Buy a quality, interchangeable stainless steel ClipsShop® brand grommet-setting die. 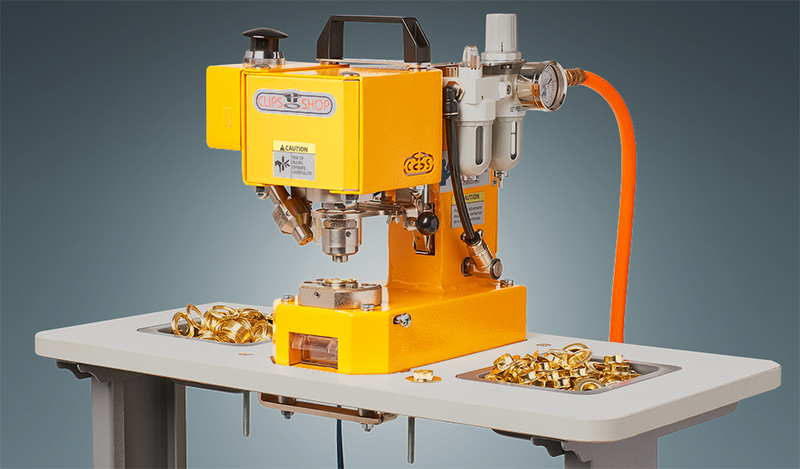 Many sizes available for quick size changes on hand bench presses and pneumatic attaching machines use with ClipsShop® self-piercing metal brass grommets.